Surprisingly, outside of a small handful of states, most of the 200 million eligible voters in the U.S. do not get voter pamphlets or sample ballots. Nor do they typically vote from home. The 2018 general election has come and gone. By all accounts the election went without the hacks and attacks on our voting system that many security experts had feared. None of the government agencies responsible for protecting our national voting systems saw any large-scale attempts to disrupt our Nov. 6 election. Although not without problems, such as long lines and a few voting-machine irregularities, the apparatus of voting in America appears to have held up well. What does that bode for the presidential election, which starts in Iowa in a mere fourteen months? 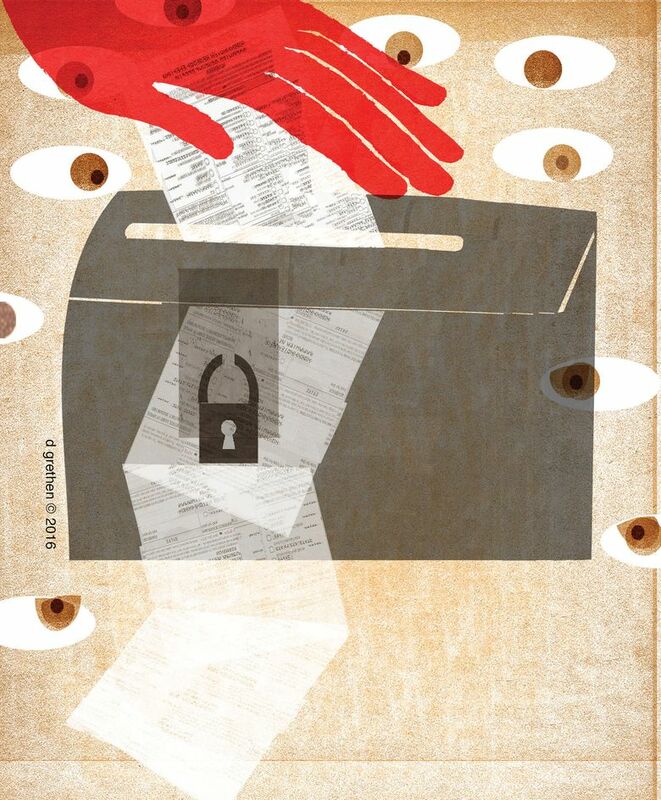 Are the nation’s voting systems truly safe and secure? As the founder of Seattle-based Democracy Live, I began working with elections officials to help modernize voting during the Florida recount in 2000. Since then, members of our team and I have met and consulted with hundreds of local elections officials across the U.S. Although not typically leading-edge security experts, elections officials are some of the most dedicated, unsung heroes to our nation’s democracy. With an election taking place every eight days somewhere in America, your local elections officials work longer days, supporting, securing and tabulating more elections than most of us realize. That being said, our voting system is in dire straits. By voting system, I don’t mean the machine that counts the paper ballots. (Most of the voting systems have a paper trail.) And I don’t mean internet hackers manipulating the vote. (Wireless networks are typically not even connected to the voting machines.) The voting system I am referring to is the system that we use to decide how to vote. It is voter information, not tabulation, that is corruptible. In my nearly 20 years of travel around the country speaking to chief elections officials at the state and local level, I am always astounded by the fact that here in the state of Washington, we have more government provided candidate and ballot information than anywhere in the U.S. Most readers of The Seattle Times received a county- or state-provided voter’s pamphlet. Almost all of us were able to vote from the convenience of our home. Surprisingly, outside of a small handful of states, most of the 200 million eligible voters in the U.S. do not get voter pamphlets or sample ballots. Nor do they typically vote from home. The first time voters get to see what is on their actual ballot is when they go to the polls on Election Day. This lack of access to basic ballot information leaves voters susceptible to dubious information from outside groups and foreign state actors who have the money to buy and influence how we decide to vote. Manipulated misinformation, not tabulation, is the real voting fraud in America. Bryan Finney is president of Seattle-based Democracy Live, Inc. In 2018, Finney was nominated and selected to serve on the Department of Homeland Security Voting Sector Executive Committee. He has spoken in front of Congress and the United Nations on issues of voting and elections security and accessibility.